Pictured here is Jaxonbilt’s ‘Amaroo’. 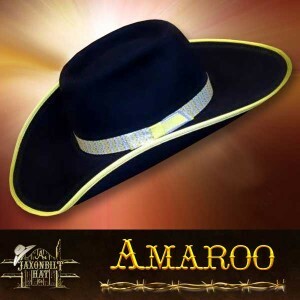 If you want a hat that adds the word cool to your name the Amaroo is it. 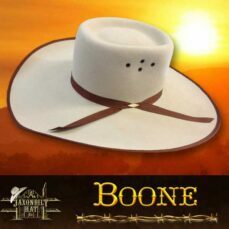 This hat offers style and is made in every way to give lasting service. Available in your choice of color and quality. 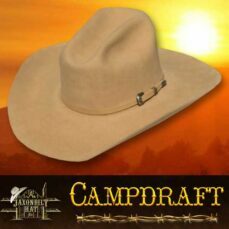 This hat pictured with a pale yellow bound edge on a 4 and 3/4 inch brim. The crown style is a new one that offers every Cowboy a winning look.